When financial independence is a priority, it is very helpful to develop an idea of how much money one needs to support a particular expense. Consider a daily $1 cup of coffee. That is $360 a year. With the canonical 4% withdrawal rate, one would need to save and invest $360/0.04 = $9000 to support the $1 cup of coffee/day lifestyle. Why pay that much when you can make a better coffee yourself? What about food expenses? These can range from less than $50/month per person to more than $500/month per person. $50/month = $600/year food expenses. This needs $600/0.04 = $15000 in savings. Whereas $500/month = $6000/year needs $150000 in savings. That’s a lot! Aiming for the lower figure of $15000 is doable in a foreseeable number of years. After saving $15000 one NEVER needs to worry about food again. One is financially independent of the food expenses. This results in a set of smaller goals to work towards. It will also create a certain discipline. More importantly, it will make one reevaluate whether the expense is really worth it. For instance, is a daily cup of $4 coffee really something one would want to save $36000 to support or is a 25c homemade cup of coffee good enough? A 25c/day coffee addiction costs a mere $900 for a lifetime “subscription”. next post: Does money only exist to be spent? 22 users responded in " The true cost of coffee addiction "
wow. this just inspired me to become financially independent 1 expense at a time. awesome! Great new take on retirement savings! I semi-retired a little over a year ago in my mid-thirties. Hopefully I can implement some of your savings concepts to get me the rest of the way there. Interesting way to look at it–I do not think one cup costs $1/day though, if you brew your own. in the interests of saving dough and a strong dislike of drinking beverages out of a paper cup, i brew my coffee at home & can say it costs me approx. 1.55 average (french press – a couple of cups at home & enough for little thermos at work). yes, my name is jane & i am a caffeine addict. as i keep cutting my expenses, this one haunts me – do i have what it takes to quit (wean, otherwise headaches fierce). getting closer. it would be great to be free of all bad habits (my definition of “bad” here is that i rely on the substance & i would not want to be with me without caffeine, today that is . . . but the expenditure is going to get in my way. I really enjoy your blog, and it is an inspiration for me. I was wondering how you found the $900 on the $0.25/day coffee. For some reason, I am getting something like $2,250, so I suspect that I may be doing something wrong. I am going to try to figure out what expense I should start with on my expenses. It will be nice to say something like, “I am financially independent when it comes to food; I am working on housing.” etc. @chessiq – Actually I wonder too now. I also get 2280. J – remedial math student here – could you explain the “canonical 4% withdrawal rate”? Just discovered your blog, and I think it is totally awesome! How do you eat for $50 per month? I think I can do it $5 per day ($150 per month) and I thought that was super cheap. I did my own coffee calculation, and I pay $8 per pound for (what I think is) super high quality coffee. That comes out to 16 cents per cup. Sugar was 4 cents and creamer 5 cents, so the total is 25 cents. @George: I would think it by buying everything in Bulk, making food that lasts more than 1 day, etc. This post is excellent! It has given me more ideas. Funny, I was in the supermarket yesterday, looking at jars of coffee… thinking to myself ‘how much is that in terms of capital for passive income?’ My mental arithmatic failed me, yet I still came to the conclusion that I drink WAY TOO MUCH COFFEE. Wow, that is an awesome way to look at things. Great explanation! My usual daily/weekly buys will be totally nit picked now. I, like George, wonder how you eat for $50 a month. I consider myself pretty good at eating cheaply and come nowhere near this figure . . . That’s only $1.66 a day. I can probably do that through Breakfast and Lunch, but then supper is generally twice that amount per person all by itself. @Robyn: Generally if you want to retire and have a yearly income you can calculate a safe withdrawal rate around 4% (some people use 3.5 or 3.75% to be safe). So if you want to have $10000 a year of your own income, you need 10000 / 0.04 = $250000 of assets. In real life the calculation is much more complicated (due to inflation, taxes, etc) but as a rule of thumb 4% is considered the ‘safe’ withdrawal rate. Makes me glad I don’t drink coffee, so my coffee expense is zero. Can’t beat that! Thinking about becoming financially independent, one expense at a time is great! Of course I think ti will also help us curb unnecessary expenses as well. I will be looking forward to some great articles to guide me. 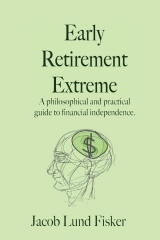 I am not as extreme as you, but I like the ideas if I can implement them to enhance my lifestyle and help me save some real money. Then the idea that you are financially independent of food expenses would not hold true…. @gaius – If the $15000 is invested in food related industries, those assets will also rise as costs are passed onto consumers and earnings go up, so it’s a wash.